The latest estimate of property losses from Kilauea, one of the world’s most active volcanoes, far surpasses the 215 structures consumed by lava during an earlier eruption cycle that began in 1983 and continued nearly nonstop over three decades. Kim said Kilauea, one of five volcanoes on the Big Island, formally known as the Island of Hawaii, has never destroyed so many homes before in such a short period of time. 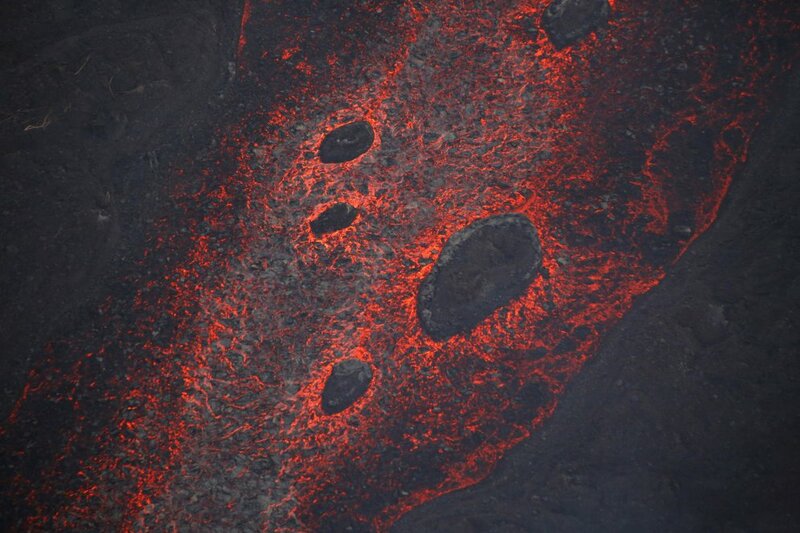 The latest volcanic eruption, which entered its 36th day on Thursday, stands as the most destructive in the United States since at least the cataclysmic 1980 eruption of Mount St. Helens in Washington state that reduced hundreds of square miles to wasteland, according to geologist Scott Rowland, a volcano specialist from the University of Hawaii at Manoa. A similar, extremely violent eruption from Fuego volcano in Guatemala this week killed more than 100 people as it ejected deadly super-heated “pyroclastic” flows of lava and ash through nearby towns. The latest damage appraisal from Kilauea came moments after Governor David Ige, on a visit to Hawaii County Civil Defense headquarters in Hilo, the island’s biggest city, signed a memorandum of understanding furnishing $12 million in immediate state disaster relief to the island. 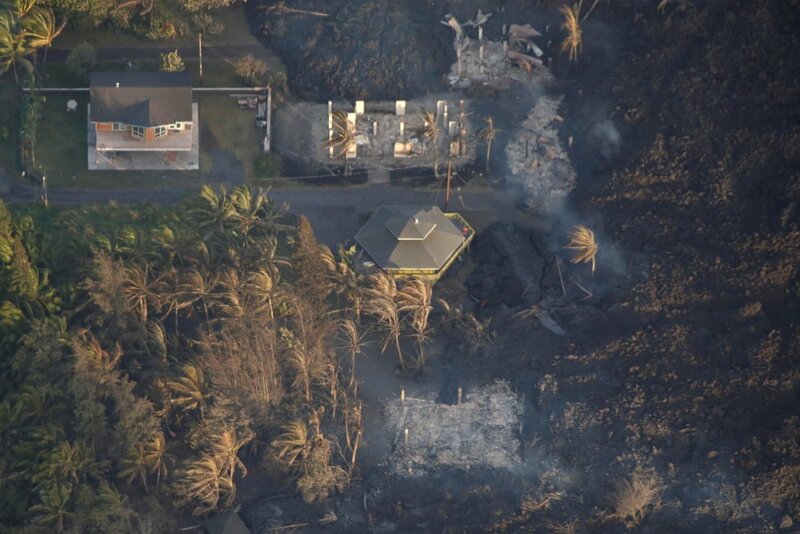 Ige and Kim also announced formation of a task force of federal, state and local officials to devise a recovery plan for communities devastated by the eruption, with an eye toward preventing such major property losses in the future. “Our responsibility is to try to work with the community to rebuild out of harm’s way,” Kim said. 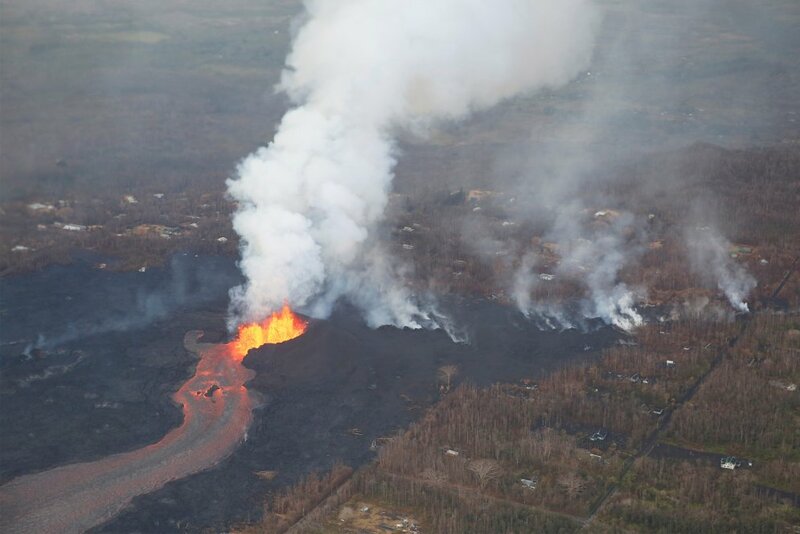 County civil defence officials had a day earlier put the confirmed number of homes destroyed during the past month at 130, all of them in and around the Leilani Estates community, where lava-spouting fissures opened up on the volcano’s eastern flank on May 3. 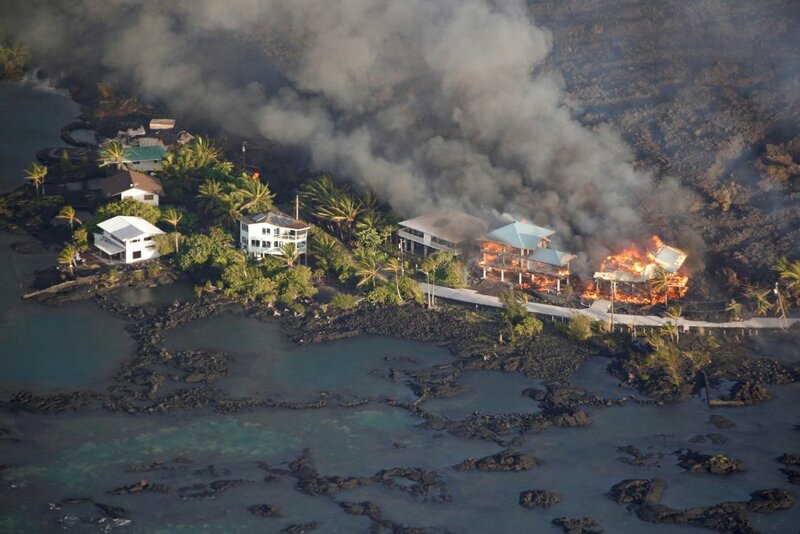 More recently a huge river of lava that has crept several miles across the landscape to the eastern tip of the island engulfed two entire seaside housing subdivisions – Kapoho Beach Lots and Vacationland. Over the course of about three days, a rolling wall of molten rock measuring half-mile across and 10- to 15-feet tall buried hundreds of homes, while vaporizing a small freshwater lake and filling in an inlet called Kapoho Bay, extending about a mile out from what had been the shoreline. The rest of the losses have occurred in the Leilani Estates area, where the toll of destruction has been steadily rising by the day. 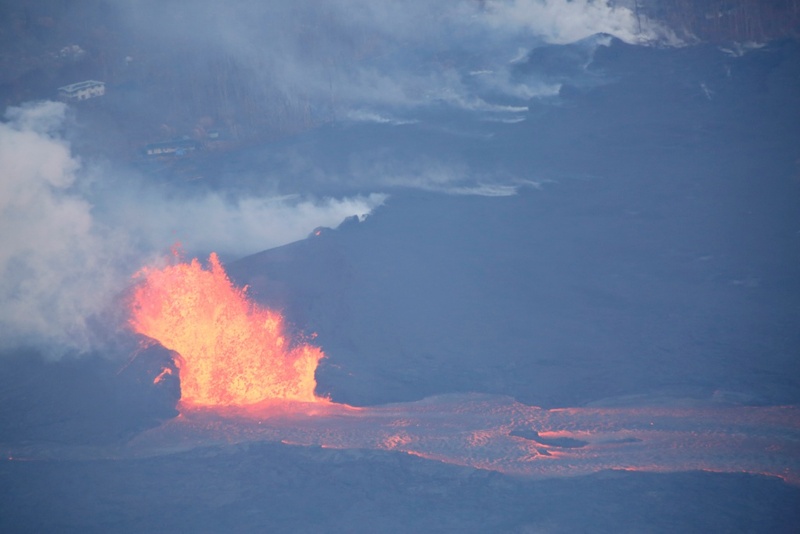 An estimated 2,500 people have been displaced by evacuations across the island since the eruption began five weeks ago, spouting fountains of lava and high concentrations of toxic sulphur dioxide gas through about two dozen volcanic fissures at the foot of the volcano. Plumes of volcanic ash belched into the air by periodic daily explosions from the crater at Kilauea’s summit have posed an additional nuisance and health hazard to nearby communities. So too have airborne volcanic glass fibres, called “Peel’s Hair,” wispy strands carried aloft by the wind from lava fountains and named for the volcanic goddess of Hawaiian myth. 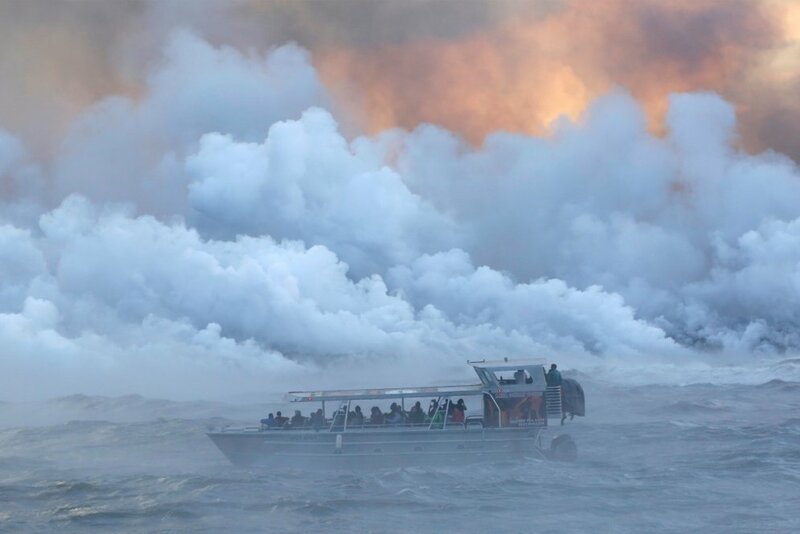 Seaside residents and boaters also have been warned to avoid noxious clouds of laze – a term derived from the words “lava” and “haze” – formed when lava reacts with seawater to form a mix of acid fumes, steam and glass-like particles when it flows into the ocean. Frequent earthquakes, mostly of relatively small magnitude but numbering in the thousands, have persisted throughout the eruption, adding to the jitters of residents living closest to the volcano. 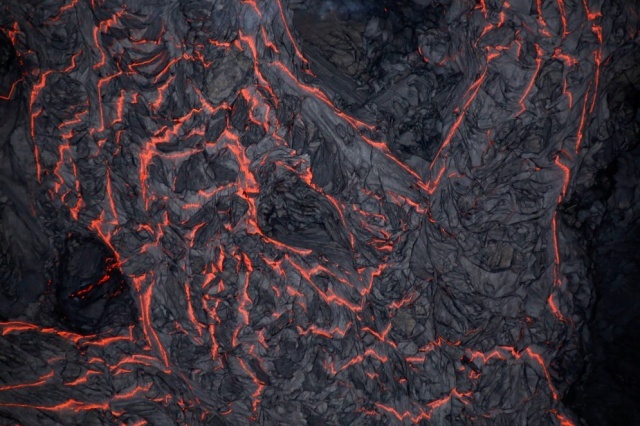 In addition to destroying homes and other structures, lava flows have knocked out telephone and power lines, causing widespread communication outages, and forced the shutdown of a geothermal energy plant that normally provides about a quarter of the island’s electricity.